GWR O.39 Milk Tank. Photo taken by Philip Hall. 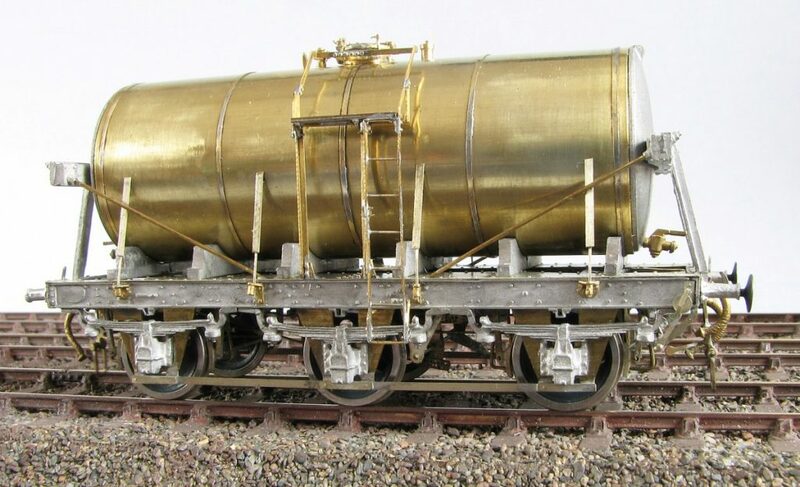 The chassis and detailing etches are designed to fit around the either the David Geen Dean-Churchward braked GWR or LMS milk tank kits (not included!) to enable most of the diagrams not covered in those two kits to be produced. I have not tried fitting any of these parts to any other makes of milk tank, nor have an intention of doing so, but the detailing parts should fit (maybe with some work) if the model is anywhere near to scale. The United Dairies & Unigate milk tank plates will add the perfect finishing touch to any 4mm milk tank. In addition to the etches and castings I have put together some of my research into Milk Tanks to aid others interested in the prototype and modelling them. I have listed them here but they can also be found on the resouces page.